Welcome to the Imperial College Sailing Club! The sailing club owns twelve Firefly sailing dinghies and regularly competes in team racing events around the country. In addition, we have a strong focus on beginner training; aiming to cover all the basics of sailing and, for those who wish, take them to the stage where they can race and compete for the college. 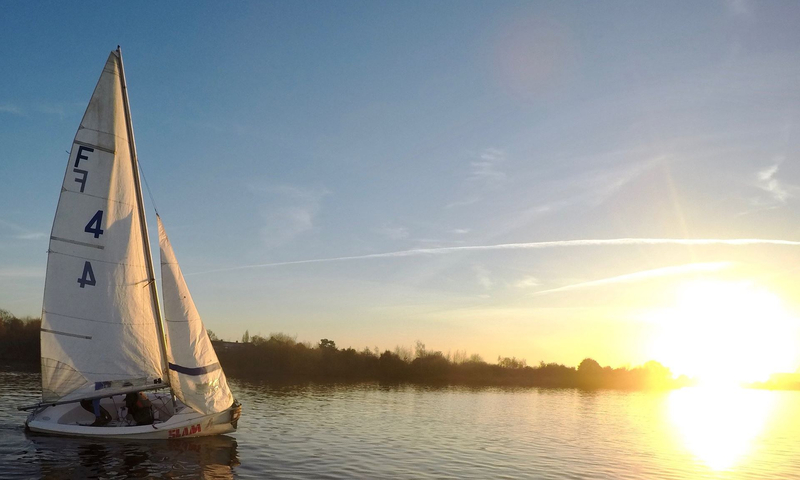 We sail on the Welsh Harp Reservoir, please click here for directions on how to find us. We sail at Wembley Sailing Club and all Imperial College Sailing Club members have associate membership at Wembley. This means that all capable members have access to borrow Wembley Club Boats (Laser, RS200, Merlin & GP14) for free. This partnership provides students with an excellent opportunity to try out different boats and compete in club races with Wembley Sailing Club. For further information on accessing these boats please contact the Class Captains or turn up any Sunday morning for a chat. Behind every club there is a committee who work tirelessly and at ICSC this is no different. The committee are responsible for organising training, events, socials and of course looking after our boats. It also looks great on your CV after university life. If you are interested in being on the committee then let the commodore know during the year and make sure you attend the AGM at the end of the year.